Eunice Mendoza has been writing health, nutrition and fitness-related articles since 2007. She is a diet technician registered (DTR) who is working on her B.S. in dietetics and nutrition with the University of Medicine and Dentistry of New Jersey. Spinach is a versatile and easy-to-prepare vegetable that is a staple in many kitchens. It is considered a nutrient-dense food because it provides a number of vitamins and minerals for a relatively small amount of calories. 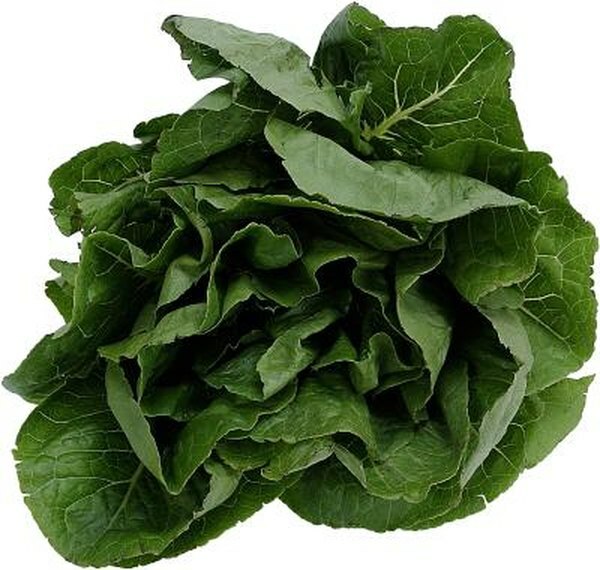 This leafy green vegetable provides a healthy dose of iron and vitamin C to our plates. It is also a source of protein and carbohydrate energy. Spinach is a non-starchy vegetable, which means that its carbohydrate content is fairly low. The USDA National Nutrient Database calculates that 1 cup of raw spinach contains about 1 gram of carbohydrate, and 1 cup of cooked or frozen spinach has approximately 6 grams. Canned spinach has the most carbohydrates at 7 grams per cup. Spinach also provides a non-digestible form of carbohydrates called fiber. This nutrient promotes digestive health and helps to keep us fuller longer by slowing digestion and creating bulk. Per cup, there is 1 gram of fiber in fresh spinach, 4 grams in cooked and frozen spinach, and 5 grams in canned spinach. Spinach may seem like an unlikely source of protein, but 1 cup of raw spinach offers 1 gram of protein, while cooked and frozen spinach provide about 5 grams. Canned spinach can contain up to 6 grams of protein per cup. Although beans and nuts are the highest sources of non-animal protein, spinach can add a boost to any meal or snack. Plant sources of protein, like spinach, are considered incomplete proteins because they only contain some of the essential amino acids the body needs. However, consuming a variety of plant-based foods every day can provide adequate amounts of all essential amino acids. Aside from providing fiber and protein, spinach is also an excellent source of vitamin A, vitamin K and folate. Depending on how spinach is prepared, different nutrients and antioxidants can be highlighted. The heat from cooking spinach can destroy vitamin C and folate, so raw spinach is the best way to get the most of these nutrients. At the same time, antioxidants like beta-carotene and lutein are enhanced during the cooking process. The best course of action is to include both fresh and cooked spinach in your diet to reap all of the benefits. If you want to add more spinach to your diet, try adding it to meals you already prepare. For example, you can substitute some of the lettuce in your salads for spinach. Since raw spinach has a very mild flavor, you can even add it to fruit smoothies without changing the taste. Ensure that any spinach that you eat raw is thoroughly washed. Spinach can also be added to soups, pasta dishes and a variety of other meals to boost their nutrient content. It also makes a simple side dish when sautéed with a little olive oil and garlic.